This Privacy Notice explains how and why we, the International Iron Metallics Association, process any personal data we collect about you when you interact with us (including in those ways described in the “What personal data do we collect about you?” section below). Our privacy practices reflect applicable legal requirements, including the General Data Protection Regulation, or GDPR (“Applicable Data Protection Laws”). Please read this Privacy Notice together with any other privacy notice we may provide on specific occasions when we are collecting or processing personal data about you so that you are aware of how and why we are using your personal data. This Privacy Notice supplements the other notices and is not intended to override them. Please note, we reserve the right to amend this Privacy Notice at any time, normally by posting an updated Notice on our website and, where appropriate, notifying to you by e-mail.Please check back frequently to see any updates or changes to this Privacy Notice.  The International Iron Metallics Association is registered in England as a not-for-profit company limited by shares with company number 07437869, having its registered office at Grenville Court, Britwell Road, Burnham, SL1 8DF, United Kingdom (collectively referred to as the “IIMA”, “we”, “us” or “our” in this Privacy Notice) is the controller responsible for the personal data we process about you in accordance with this Privacy Notice. If you have any questions about this Privacy Notice, including any requests to exercise your legal rights, please contact us using the details set out in the “How To Contact Us” section below. Information you give us: The information you give us may include your first name, surname, address, e-mail address, location, company title / position and phone number, demographic information, such as your postcode, preferences and interests. Information we collect about you: With regard to each of your visits to our website, or other sites we control, we may automatically collect the following information in relation to your visit including your login information when you access the members’ area on our website. Information we receive from other sources: We may receive information about you via trade or industry publications, other trade associations and other organisations involved in the ore-based metallics and related industries, as well as technical data about your visit to our website from analytics providers, including Google Analytics. We may collect details about your use of Our Sites for the purposes of aggregate statistics or reporting purposes. Aggregated information (your data combined with other people’s data) may come from your personal data but provided it does not directly or indirectly reveal your identity, the aggregated information will not considered personal data for the purposes of this Privacy Notice. For example, we may combine and analyse your use of Our Sites to work out the number of users accessing a specific website feature. However, to the extent that the aggregated information could still be considered personal data, we will continue to process it in accordance with this Privacy Notice. improving our member, and non-member, relations as well as enhancing and developing our Services, IT-systems and processes used to support our Services. Like many websites, Our Sites may use ‘cookies’ from time to time. Cookies are text files placed on your computer to collect standard internet log information and visitor behaviour information. If you access our Sites or click-through an email we send you, a cookie may be downloaded onto your computer's hard drive. This information is used to track visitor use of the website and to compile statistical reports on website activity, and is not linked to any particular individual. Cookies may also be used for other purposes on our website but in each case none of the information collected can be used to personally identify you. The default settings of browsers like Internet Explorer generally allow cookies, but users can easily erase cookies from their hard-drive, block all cookies, or receive a warning before a cookie is stored. You can set your browser not to accept all or some cookies or to alert you when websites set or access cookies. However, in a few cases some of our website features may not function if your browser is set not to accept cookies. If you provide your prior consent, or where we are otherwise permitted to do so under Applicable Data Protection Laws, we may also use your personal data to contact you by email and mail with information and publications relating to ore-based metallics and related materials we think may be of interest to you. You have a right to stop us from contacting you for marketing purposes. If you no longer wish to be contacted for marketing purposes, please contact us using the information in the “How to Contact Us” section. Please note that where you opt out of receiving such messages, this will not delete any personal data provided to us as a result of another transaction or interaction. We will not transfer, disclose, sell or distribute your personal data to third parties other than as set out in this Privacy Notice, unless we have your consent or are otherwise required or permitted to do so by Applicable Data Protection Law. to protect the rights, property, or safety of IIMA and our members and other stakeholders, or for internal investigations and reporting. This may include exchanging information with other companies and organisations for the purposes of fraud protection. Where we use service providers based in the US, we may transfer personal data to them if they are part of the Privacy Shield which requires them to provide similar protection to personal data shared between the Europe and the US. We have put in place appropriate physical, electronic and managerial security measures to prevent your personal data from being accidentally lost, used or accessed in an unauthorised way, altered or disclosed. In addition, we limit access to your personal data to those employees, agents, contractors and other third parties who have a business need to know. They will only process your personal data on our instructions and they are subject to a duty of confidentiality. Our Sites may contain links to other websites which are operated by third parties and not by IIMA. We are not responsible or liable for any content on these websites or for any interaction you have with them. This Privacy Notice only applies to our Sites so when you link to other websites you should read their own privacy notices. Request restriction of processing of your personal data. This enables you to ask us to suspend the processing of your personal data in the following scenarios: (a) if you want us to establish the information’s accuracy; (b) where our use of the information is unlawful but you do not want us to erase it; (c) where you need us to hold the information even if we no longer require it as you need it to establish, exercise or defend legal claims; or (d) you have objected to our use of your information but we need to verify whether we have overriding legitimate grounds to use it. Further rights are provided for in the Model Form Clauses referenced above. These rights will be exercisable subject to the limitations set out above and as provided for in Applicable Data Protection Law. You may also have the right to lodge a complaint with your national data protection authority or other public authority governing the protection of your personal data in the EU Member State of your habitual residence or place of work or in the place of the alleged infringement if you consider that the processing of personal data relating to you carried out by us infringes Applicable Data Protection Law. We would, however, appreciate the chance to deal with your concerns before you approach the ICO so please contact us in the first instance. In addition, where you have provided (and we have relied upon) your consent to process your personal data, you may withdraw your consent, at any time by contacting us at the address stated below and where no other legal basis exist upon which we can process your data we will apply your preferences going forward. However this will not affect the lawfulness of any processing carried out before you withdrew your consent. In some circumstances, withdrawing your consent or objecting to the processing of your personal data, or requesting its deletion, will mean that you cannot take advantage of certain of our Services or other opportunities, and we may need to suspend or terminate your access to such Services or Our Sites. We keep our Privacy Notice under regular review and we will place any updates on this webpage. This Privacy Notice was last updated on October 17th.